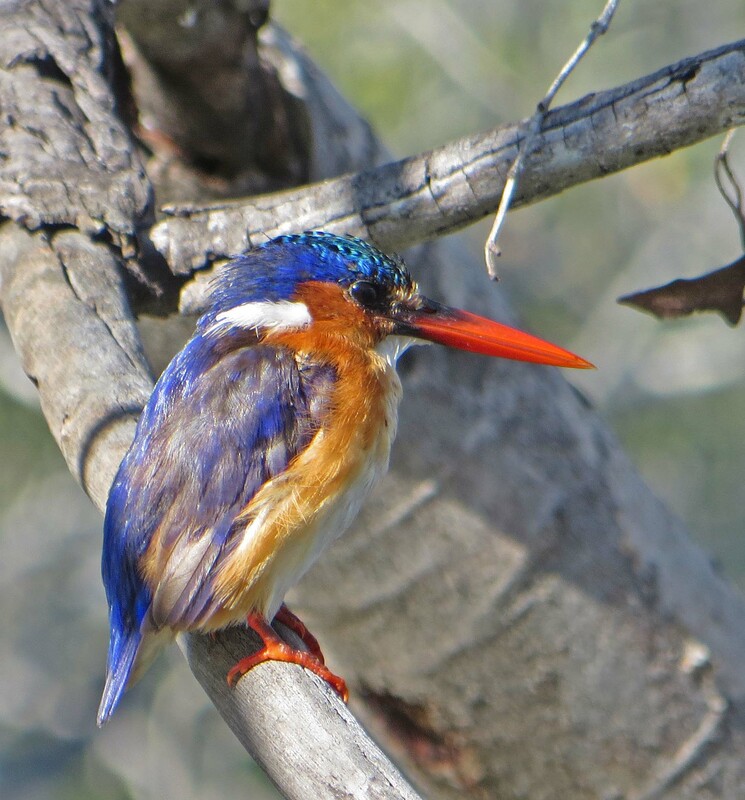 The Malachite Kingfisher is found in sub-Saharan Africa. 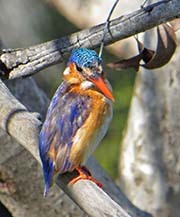 It is a small kingfisher and both sexes are similar. 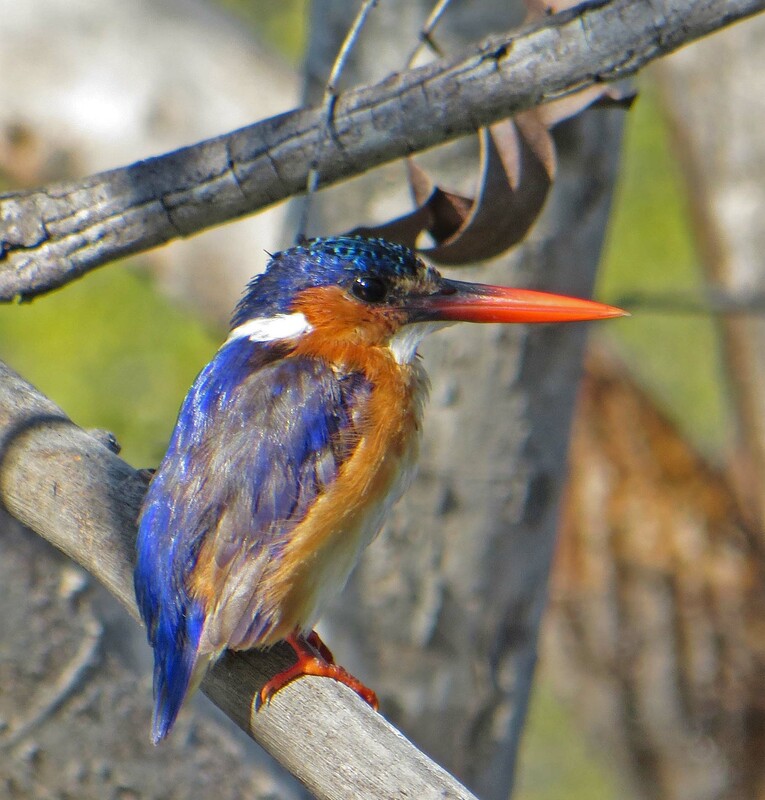 They live near fresh water where they eat mainly eat aquatic animals such as prawns, crabs, tadpoles, frogs, fish, water beetles and insect larvae.